Eye Infections - What Should You Do? Eye infections occur when harmful microorganisms — bacteria, fungi and viruses — invade any part of the eyeball or surrounding area. This includes the clear front surface of the eye (cornea) and the thin, moist membrane lining the outer eye and inner eyelids (conjunctiva). Anytime you suspect an eye infection, you should always visit your eye doctor for an eye exam. Trying to self-diagnose your condition can delay effective treatment and potentially harm your sight. If you wear contact lenses, you should wear only your eyeglasses until you have visited your eye doctor for diagnosis and treatment. 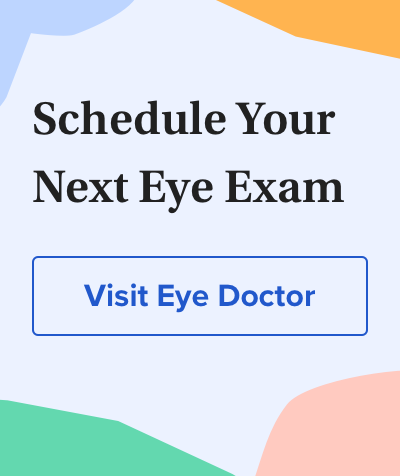 There are many different types of eye infections, and your eye doctor needs to determine the particular type of eye infection you have in order to prescribe the proper treatment. Your doctor may take a sample from the affected area of your eye for a culture to assess the exact type of infection you have, if any. This may help determine the most effective treatment, such as an antibiotic that selectively targets the type of bacteria causing the infection. Pink eye, or conjunctivitis. Conjunctivitis, also called "pink eye," is a common, highly contagious eye infection that often is spread among children in day care centers, classrooms and similar environments. Teachers and day care workers also are at increased risk of pink eye when they work in close quarters with young children. Common infectious conjunctivitis types often have viral or bacterial origins. Infants also can acquire conjunctival eye infections (gonococcal and chlamydial conjunctivitis) during birth when a mother has a sexually transmitted disease. Other viral eye infections (viral keratitis). Besides common pink eye, other viral eye infections include ocular herpes, which occurs with exposure to the Herpes simplex virus. Fungal keratitis. This type of eye infection made worldwide news in 2006 when a contact lens solution now withdrawn from the market was linked to an outbreak among contact lens wearers. The fungal eye infection was associated with Fusarium fungi, commonly found in organic matter. This and other fungi can invade the eye in other ways, such as through a penetrating injury caused by a tree branch. Acanthamoeba keratitis. Contact lens wearers are at increased risk of encountering parasites that can invade the eye and cause a serious sight-threatening infection called Acanthamoeba keratitis. This is why contact lens wearers should observe certain safety tips, such as avoiding swimming while wearing contacts. If you do wear contact lenses when swimming or relaxing in a hot tub, make sure you remove and disinfect your lenses immediately afterward. (Read "Can You Swim with Contact Lenses?" for more strategies. )Indeed, there is an increased risk of fungal and bacterial eye infections among contact lens wearers in general, and proper contact lens care must be followed. FDA guidelines recommend that manufacturers include a discard date (not just a date of expiration) on contact lens cleaning and disinfecting products to help minimize the risk of eye infection. Trachoma. While uncommon in the United States, an eye infection known as trachoma, related to Chlamydia trachomatis, is so widespread in certain under-developed regions that it is a leading cause of blindness. Flies can spread the infection in unsanitary environments, and reinfection is a common problem. Trachoma typically infects the inner eyelid, which begins to scar. Scarring then causes an "in-turning" of the eyelid, and eyelashes begin to brush against and destroy tissue on the cornea, with resulting permanent blindness. Good hygiene and availability of treatments such as oral antibiotics are essential to controlling trachoma. Endophthalmitis. When an eye infection penetrates the eye's interior, as with bacterial endophthalmitis, blindness could result without immediate treatment, often with potent antibiotics. This type of infection can occur with a penetrating eye injury or as a rare complication of eye surgery such as cataract surgery. Any time the eye's globe is penetrated and injured significantly, there is a 4 to 8 percent risk of endophthalmitis. * Mold that penetrates the eye's interior also can cause endophthalmitis, though rarely, with most cases reported in tropical regions. When infection invades the eye's tear glands, inflammatory conditions such as dacryostenosis and uveitis can result. Infection also can lead to inflammation and blockage of the eye's tear drainage system and cause dacryocystitis. Infection can be an underlying cause of a corneal ulcer, which resembles an abscess on the eye. If left untreated, a corneal ulcer can lead to severe vision loss. More serious eye infections can penetrate the deeper, interior portions of the eye to create sight-threatening conditions such as endophthalmitis. With orbital cellulitis, infection found in and around the soft tissue of the eyelids represents an emergency because the condition can spread if left untreated. Fortunately, most common bacterial eye infections clear up, particularly with prompt treatment such as prescription antibiotic eye drops or ointments and compresses. Many common viral eye infections resolve on their own. In cases of severe viral eye infections, an antiviral eye drop may be prescribed. Some viral eye infections require careful administration of steroid eye drops to reduce related inflammation. Depending on the underlying cause of your eye infection, your doctor also may prescribe antibiotics or antiviral medications that are taken orally. If your symptoms worsen or change, contact your eye doctor immediately. If you are near a person with a red eye, avoid contact around your own eye until you wash your hands first. You can minimize the likelihood of catching common bacterial or viral eye infections by using anti-infective sprays and cleansers liberally in public areas such as day care centers and classrooms. Prevent eye infections by washing your hands before touching your eyes or eyelids and before handling contact lenses. At home, if any family members have a red eye or a confirmed eye infection, keep their bedding and towels clean, and don't let them share these items with anyone else. Have them wash their hands often. If you are a contact lens wearer, you should follow safety tips for good hygiene, such as hand washing before you handle your contacts. Also, be aware that sleeping while wearing contact lenses, even if you wear the new "breathable" silicone hydrogel contact lenses that are FDA-approved for overnight wear, significantly increases your risk of eye infection. Endophthalmitis after open globe injuries. American Journal of Ophthalmology. April 2009.